Panforte Pro is a hand drawn condensed typeface created by Francesco Canovaro and published by Zetafonts which is available in 7 styles, 3 different weights (Light, Regular, Bold) with ther italic version, and a styles (A Day Without Sun), a wide range of Open Type Features and multingual support. It is suitable for cooking project. This 7 handcrafted opentype f,onts is just perfect for your design recipes à la carte. Enjoy! Price: starting from $29,00 for one font to only $75,00 for all 7 fonts. 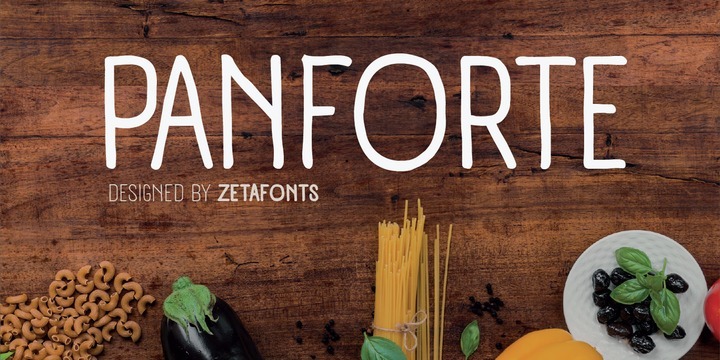 A font description published on Wednesday, October 11th, 2017 in Fonts, Francesco Canovaro, Zetafonts by Alexandra that has 1,590 views.